Have you been injured as a result of an accident caused by another’s aggressive driving? When an aggressive driver speeds, weaves in and out of lanes, or makes sudden stops and turns, it puts every motorist on the road at risk. We distinguish aggressive driving cases from road rage induced collisions which, while similar, are often subject to different laws that require very different legal strategies. Aggressive driving accidents are extremely dangerous. 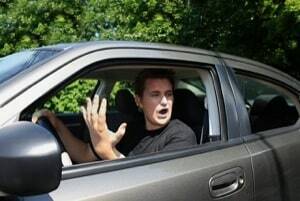 aggressivedrivingaccidentAggressive driving occurs when a driver operates his vehicle erratically in a manner that fails to take into account the safety of the other motorists on the road. Common examples include speeding excessively, following another vehicle too closely (tailgating), passing another vehicle where prohibited, failure to yield and failure to signal. These accidents are often serious and, in many cases, deadly. Over half of fatal car crashes can be attributed to some form of aggressive driving. According to the National Highway Traffic Safety Administration (NHTSA), 56 percent of fatal car crashes are from aggressive driving. The number one culprit? What you would expect: excessive speeding. Some of it is the Justin Bieber variety but there are many people - often in areas where speed is not controlled frequently by radar - who just make it a habitual habit of driving fast on the road. You know the guy. He zips by you when you are already speeding a little and you wonder how on earth he has not gotten caught yet. It is not hard to see why aggressive driving incidents produce so many fatalities. When a driver traveling out of control and at an extremely high rate of speed strikes another vehicle, the force of the impact can devastate another vehicle and its occupants. Which Aggressive Driving Crashes Put Us at The Greatest Risk? Rear end accidents caused by an aggressive driver following too closely (tailgating) behind another motorist. Colliding head on or being side swiped by an aggressive driver going well above the speed limit. Colliding with an aggressive driver who has run a red light or stop sign. Being the passenger of an aggressive driver who gets into a serious accident. Johnny from Dundalk just bought a 2013 Chevy Camaro equipped with a racing engine, dark tinted windows, and loud stereo speakers. Johnny has always loved to drive fast and can’t contain his excitement over his new purchase. On a summer evening, Johnny decides to take the Camaro out for its inaugural spin. As he pulls out of the driveway, he revs the engine a few times in anticipation of the fun to follow. He pulls up to the first intersection in his neighborhood and speeds through the stop light, entering the on-ramp to highway 83. On this same summer evening, Sarah and her son Sam are headed to Sam’s first basketball practice. Despite Sam’s small stature, he made the last cut on the basketball team and he couldn’t be more excited. Sarah and Sam head out of their house and take the on-ramp to highway 83, all the while traveling below the speed limit and obeying the rules of the road. As Sarah and Sam talk about where they are going to eat afterwards to celebrate Sam’s first practice, Sarah notices her rear view mirror begin to rumble. Startled, she glances in her review mirror and sees Johnny’s Camaro rapidly approaching from behind. Johnny, too excited about his new car’s capabilities to drive carefully, tries to pass Sarah on the left but traffic prevents him from doing so. Instead, he inches up closer and closer to Sarah’s car, revving his engine and hoping she gets the message that she should move out of her lane and make way for Johnny and his Camaro to speed up highway 83. As Sarah momentarily presses her breaks to signal to Johnny that he is too close, she feels a loud thud in the rear of her vehicle as Johnny’s Camaro smashes into her bumper. Her car begins to spin out of control and strikes a concrete wall. The force of the impact causes Sarah to break her shoulder, several vertebrae in her back, and receive severe facial lacerations. She will recover but will require extensive surgery. Sam breaks his right arm and sadly must wait another year for his basketball dreams to come true. The serious injuries to Sarah and Sam are the direct consequence of Johnny’s aggressive driving. Do Aggressive Driving Cases Lead to Better Settlement and Verdicts? This is a good question which is why we posed it. 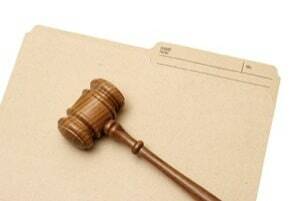 You would expect the jury to be inflamed at a defendant in cases where there is evidence of aggressive driving. Juries do get angry when they hear this kind of evidence. While such evidence technically should not lead to a higher verdict, jurors - and even judges - are human like the rest of us and the anger that someone was harmed needlessly makes a difference. But in Maryland and most states, jurors are only going to hear this evidence if the defense lawyer is foolish enough to dispute liability. If defense counsel admits that it is their own fault, the evidence of reckless, aggressive or even drunk driving will not be heard by the jury because the judge will not allow it. Is this unfair? It is. The idea is that if the defendant admits fault, the only remaining issue is how much those injuries are worth. The reality is that the judge knows what I just told you: that evidence of aggressive and reckless driving will inflame the jury and cause them to award maybe more than they otherwise would. But, from our way of thinking, that is just the point and that is how it should be: you should pay more when you hurt someone so needlessly. Maryland law disagrees. Compounding the problem is that our state, unlike many others, does not allow for punitive damages in car accident cases where the defendant did not actually intentionally hit the other car. Who Will Actually Write the Check for my Settlement or Verdict? Victims of aggressive driving want to know how much they can recover. You can learn more about this question here where we break down different jurisdictions and different injuries. But the real answer is that it depends. Let’s first mention the types of cases where you likely cannot get compensation. If the accident is also a result of your own aggressive driving then you likely cannot recover because you were also negligent. Also, since police officers and firemen are often responding to emergencies, accidents caused by their vehicles driving at high rates of speed are often not actionable even in cases where they are negligent. Most other incidents of aggressive driving accidents, however, form viable claims if the aggressive driver at fault negligently or recklessly drove his car. When that negligence or recklessness causes serious injuries to another, the aggressive driver’s insurance should compensate the injured victim. Depending on the severity of the injuries, the victim may be entitled to significant compensation. Does the insurance company try to disclaim insurance coverage for their insureds when they are racing or otherwise driving like they were completely crazy? You would think they would draw a line and say we are not insurance this and that. But unless the actually collision was intentional, insurers typically stand behind their insureds and pay out the settlements or verdicts in these claims to their policy limits (and sometimes beyond in many of our cases where the verdict has exceeded the insured's policy limits). Maryland: $9,248,300 Verdict. The plaintiff, a passenger in the defendant’s vehicle, sued the defendant for making an aggressive left hand turn in front of an oncoming vehicle while speeding. The plaintiff suffered severe fractures to his eye socket, cheekbone, collarbone, and finger as well as a closed head injury which left him comatose for seven months. Michigan: $6, 200,000 Verdicts. Plaintiff, a young woman, was struck by a defendant driver who was speeding and quickly changing lanes on cold and icy roadways. The defendant, claiming he was swerving to avoid black ice in the road, barreled into the plaintiff’s vehicle head on at a speed of 75 to 80 miles per hour. The plaintiff suffered massive injuries including a closed head injury and a severe leg injury requiring the amputation of her foot. If you have been the victim of aggressive driving or someone you love has been killed by someone who had no respect for his safety or anyone else's, you are upset and you should be. It is tough to get hurt in a car wreck in the first place. But it is particularly maddening when it could have been easily avoided with just some common decency. Aggressive driving is a bad thing. Aggressive lawyering is not. You need someone who will fight back for you. Call 800-553-8082 or get a free case evaluation online. How much compensation can I expect for my case?